The tragic sudden death of Christian Smith is a reminder to all of us on how unsafe our roads are becoming. According to RoSPA every year in this country around 19,000 cyclists are killed or injured in reported road accidents, including around 3,000 who are killed or seriously injured.’ I find this an alarming figure. I think you will you agree with me, that it is always shocking to hear about another cyclist killed on our roads. However, what about the family that are left behind? How do they cope with traumatic bereavement? Loosing someone through a road accident is indescribable. You say goodbye to them in the morning but they don’t come home. Time stands still. Plans for the next day are in place; their unfinished project is on the table. Policemen are at your door shifting uncomfortably in their shoes. Behind them are the local journalists who want to find out more. All you want to know is ‘why’ and ‘How’. Nothing else seems significant. They all leave and then there is a deafening silence in the home. Your loved one is not coming home. Forever. The reaction to trauma is different to everyone and will vary in the nature and intensity. Not only are you are faced with bereavement but the trauma of sudden death can lead to the development of Post-traumatic stress disorder and depression. The majority of people who experience traumatic bereavement are able to cope with their grieving through the support of family and friends. Some are unable to come to terms with the sudden death and their reaction to the trauma is severe. A sudden death is difficult to come to terms with and it is common for those who are involved to find themselves in lengthy court cases. This can delay the grieving process. What are the common factors experienced in traumatic bereavement through a Road Traffic Accident? When you lose someone in a sudden death, you need to understand what has happened. This can be a lengthy process as you have to face an inquest and often a court battle. It is common if you were not present at the road accident you will begin to imagine what happened. This will lead to further stress in your life. You become stressed by showing signs of being irritable and easily startled. You may become nervous of the road and unable to face the place where the accident occurred. Your daily life is regularly disrupted. Your body reaction to the trauma can lead to tiredness and vulnerability to illness. You may face difficulty in everyday life. You become nervous and unsettled with normal routine of life. Feel numb and detached from life. 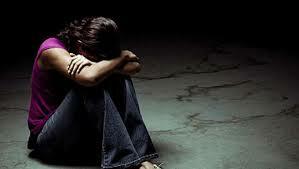 This can lead to depression, feelings of hopelessness, memory loss and inability to concentrate. You emotions may swing with outbursts of anger. Dealing with both grief and trauma together can be overwhelming. The grieving will be prolonged and the trauma can be re-awakened over time as reminders of the event can stir the memories of the event. This can lead to anger, guilt and blame. All difficult emotions to deal with. Create fantasies to deal with the gap in the knowledge. Most cycling accidents are not witnessed by other members of the family. Not knowing what happened can lead to many unanswered questions. You may start to fantasy about how it happened and start to believe that the deceased person suffered more than they did. You will also believe that there was something you could have done to stop the death. The above issues, thoughts and feelings have to be slowly dealt with. Victims need to feel safe and have the time to deal with what has happened. This can be gained from family and friends. However, the trauma can often make it difficult to share your emotions with those who are close to you. This can lead to isolation and relationships being affected. You will start to feel separated from those not affected by the trauma, feel different and feel hopelessness for the future. BRAKE offers support to bereaved victims affected by Road Traffic Accident. You can talk to someone that has had a similar experience through their helpline or they can signpost you to a local group. They have helpful online sheets on dealing with a sudden death and will provide useful links to lawyers etc. The majority of people who support this charity have experienced loss through RTA. The need to understand and learning to cope with your emotions is essential. By talking about your feelings will help you confront your fears and provide reassurance. Talking is important. Working through your experiences and feelings will aid you to look forward to the future. You will slowly recover from traumatic bereavement and learn to understand and accept the sudden death of your loved one. Sadly there is no time line to the grieving period. Accept all the support given to you. Hazel can provide online counselling for victims suffering from post-traumatic stress disorder to victims affected from car or cycling accidents. She has vast experience and knowledge in sudden death and reaction to trauma.